In the dark, cold winter months, there’s something to be said about marking the season with a holiday that’s all about love. Valentine’s Day is a chance to celebrate those we cherish with flowers, fancy meals, and other gifts as a way to express our love. And who could be more deserving of our love than our unconditionally loving pet friends? Valentine’s Day with your pet may not include a gourmet meal or tickets to the opera, but there are many other ways you can acknowledge all the joy your pet brings to your life. 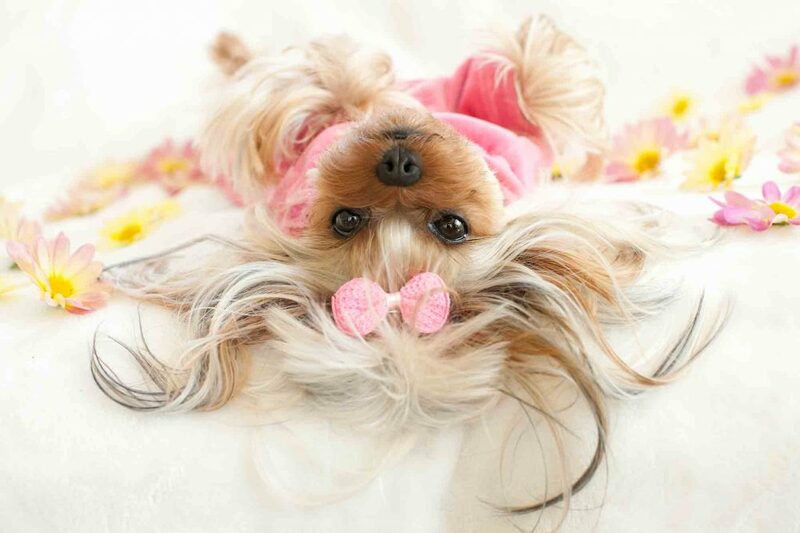 Pamper your pet with professional grooming. Grooming is necessary during the winter months to combat the elements that cause dry skin. By bringing your pet in for a grooming session, you can help increase coat and skin health and make them feel great! Make some treats for your sweet. Whether you’re a seasoned baker or someone who rarely cooks, there are some simple treats online that can spell L-O-V-E with every bite. Check out Pinterest, too! Create something cozy. February is a great month to snuggle up with your best friend. New blankets and beds can be a great choice for those chilly evenings together. Break out some new games. What’s better than staying in the warm, cozy confines of your home? Breaking out some new and enriching games your pet will surely love. Check out this challenging game for Fido or this interactive toy for your curious kitty. Take time for adventure. Tired of staying indoors? Ready for something new? A socialized pet will likely be ready to roam after a long winter. Check out some local pet friendly cafes and restaurants or consider a mini vacay at a pet friendly resort. Get to the heart of the matter. Has there been something you’ve been neglecting when it comes to your pet’s well-being or health? Have you skipped last month’s heartworm pill or haven’t been in to see us in a while? One of the best gifts you can give anyone, especially those who depend on you, is the gift of wellness. Contact us to schedule an exam. Overhaul your pet’s toys. Are those stuffed dog toys looking motley these days? Perhaps your catnip collection no longer inspires playful swats and pounces? Try some new toys that energize and capture your pet’s interest, like the Chase-It dog toy or the Go Cat Da Bird toy. Learn something new. You’re never too old to learn new tricks! Has your pet been craving a new challenge (or have you)? Consider trick training and agility or perhaps try a new form of exercise like tandem jogging or hiking. For your feline friend, think about leash training just in time for the coming spring! However you choose to celebrate Valentine’s Day with your pet, we hope you and your furry pal have fun. If we can be of any assistance, please give us a call!